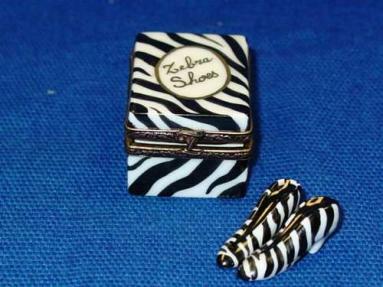 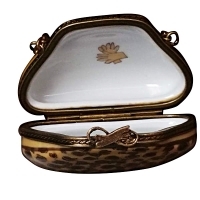 CROCODILE PURSE - Limoges Boxes and Figurines - Limoges Factory Co.
Limoges artists have crafted a set of Limoges boxes modelled on ladies accessories. 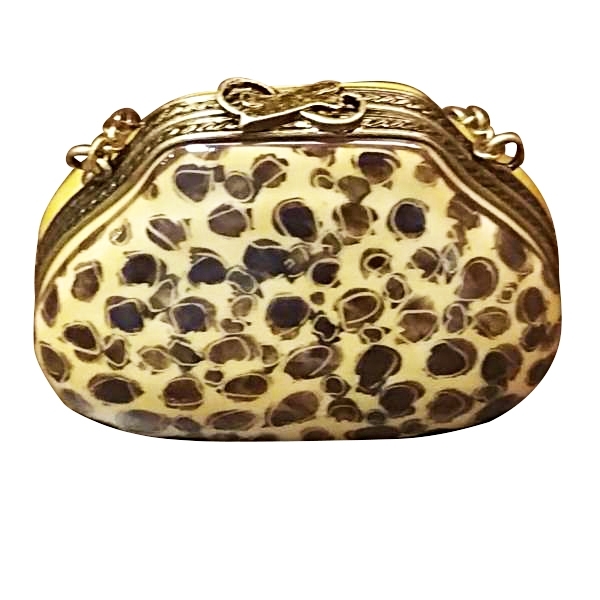 The artists have taken extreme care to do complete justice to the theme as a whole and each accessory. 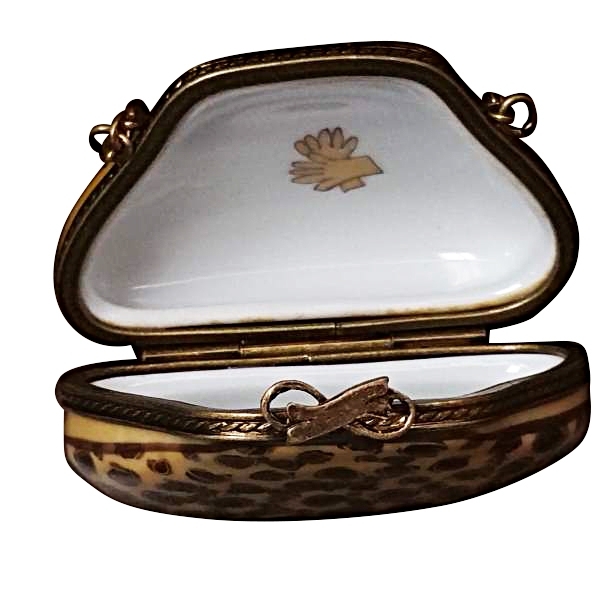 The Limoges box that is crafted to look like a ladies bag is further made special by the crocodile skin design painted on it. 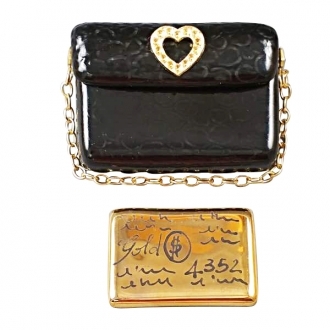 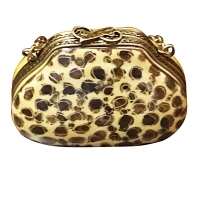 The Limoges box looks very much like a purse made of crocodile skin. 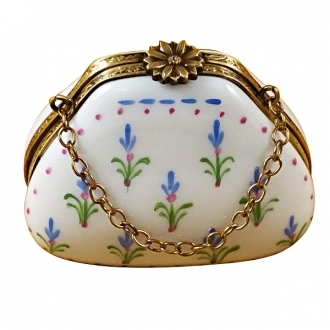 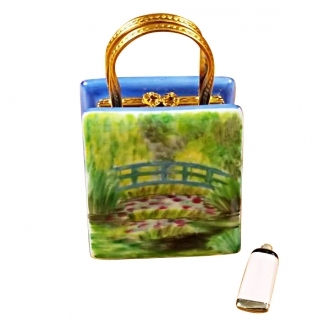 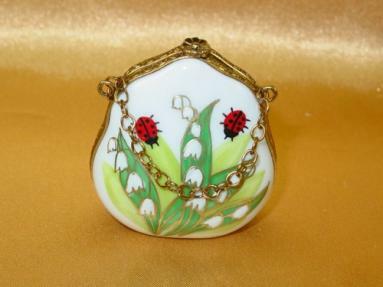 The beautifully ornate rims, clasp and the golden sling chain make the Limoges trinket box look exactly like a sophisticated ladies purse. 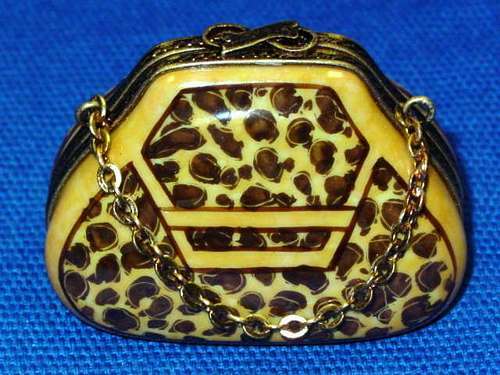 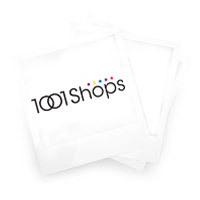 Measurements: 2" х 1,25" х 1,75"